We are firm believers that horses and riders need time away from the ring to rejuvenate so we try to find fun, safe ways to do that. 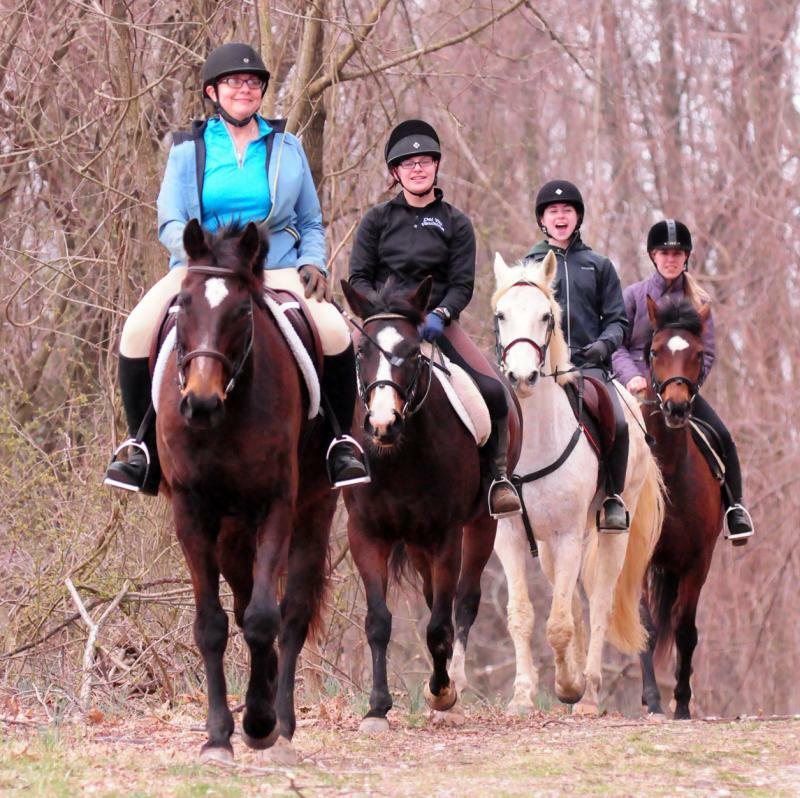 We are very lucky to have Schooley Mill Park, a multi-use Howard County park with equestrian trails, a large ring, and a handful of inviting cross country jumps less than a mile away. Schooley Mill is a fantastic way to give green or timid riders experience on the trail. 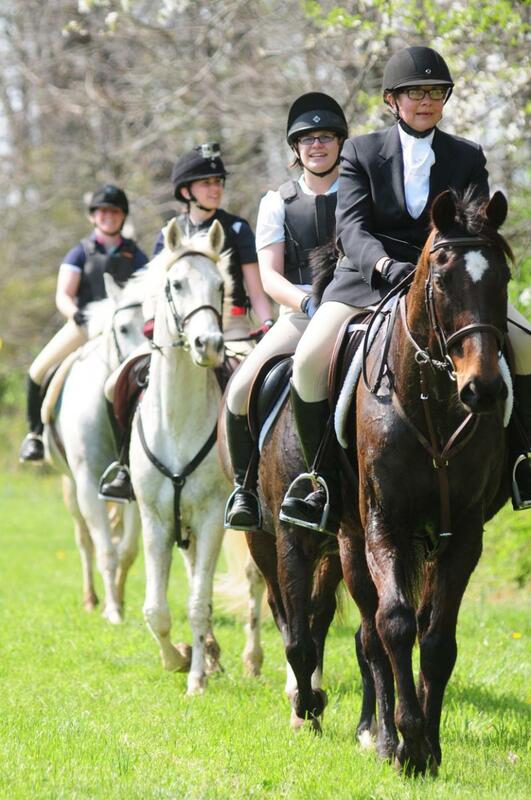 We always ride to the comfort level of the lowest rider or horse, so if that means we just walk, then that's what we do. Safety first! 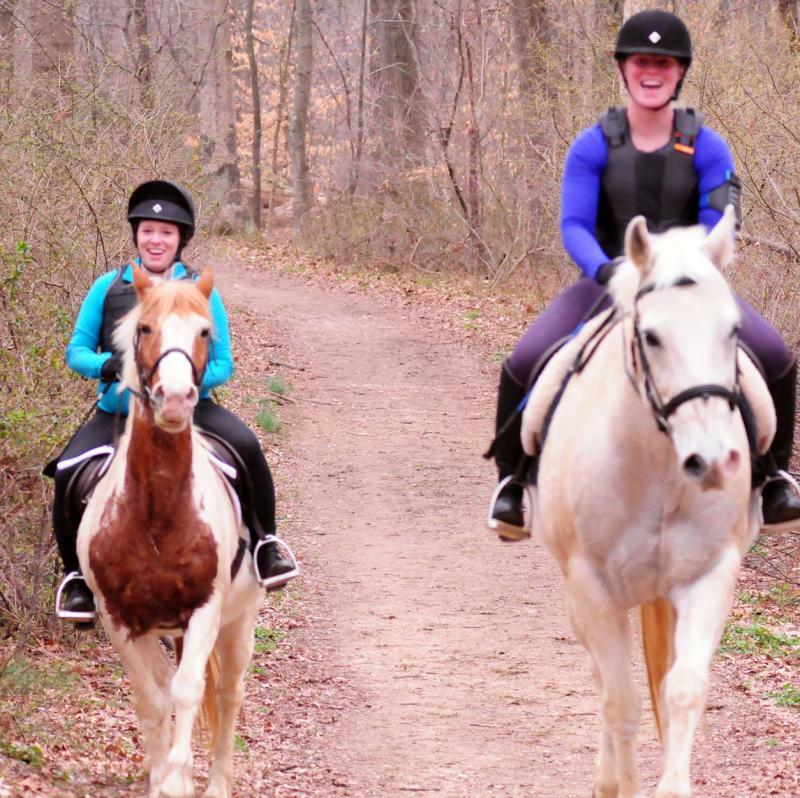 The trails at Schooley Mill are great for preparing riders and horses for Hunter Paces, one of our favorite spring and fall sports. Schooley Mill offers a nice rolling terrain with a combination of open, grassy trails and wooded. 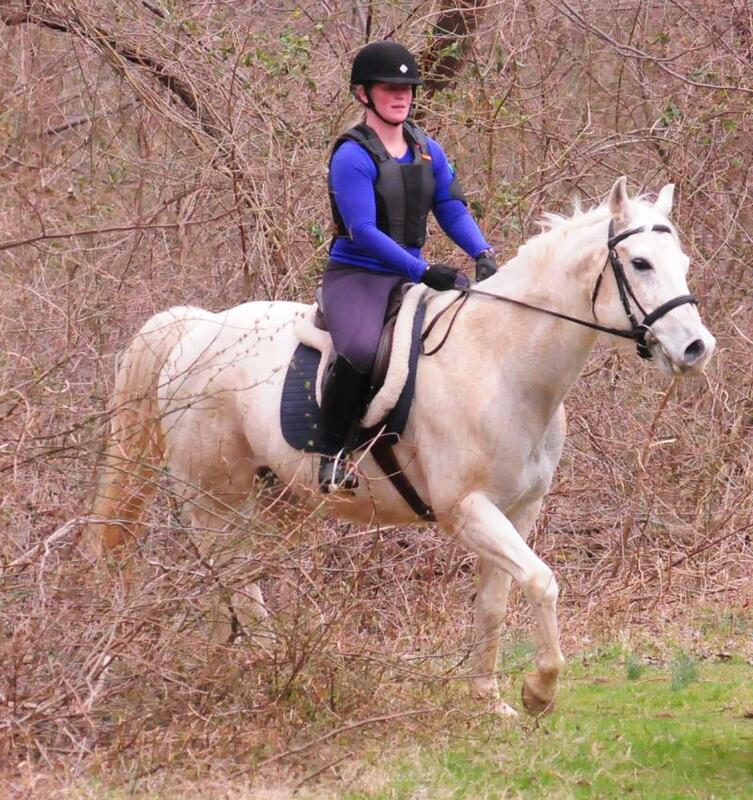 There are terrific spots for trotting and cantering for those preparing for eventing. Sometimes we just have fun with friends too!